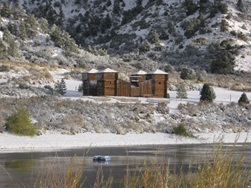 Winter Camp January 29 to 31 at Camp Three Falls in Ventura County. Winter Camp is confirmed for January 29 thru 31. This will be happening at Camp Three Falls in the Ventura County Council area. This is a winter program camp that includes all meals and activities with a snow theme to them. Cost on this outing is $40 per person. Please make checks payable to Boy Scout Troop 1. There is a limited amount of space available. First come first served on this outing. Your payment of $40 guarantees your spot. Please contact your Scoutmaster to RSVP. A check will need to be sent to Paul Main to reserve your spot. For more information look at the Winter Camp Information.